To assess the effects of AlgaFlex on strawberry performance. In particular, to examine the effect of a range of applications with regards to plant health, the amount of fruit produced and the quality of the fruit. Based on an average yield of 20 tonnes/hectare, a 12% yield increase would be worth an additional £7,200 per hectare. 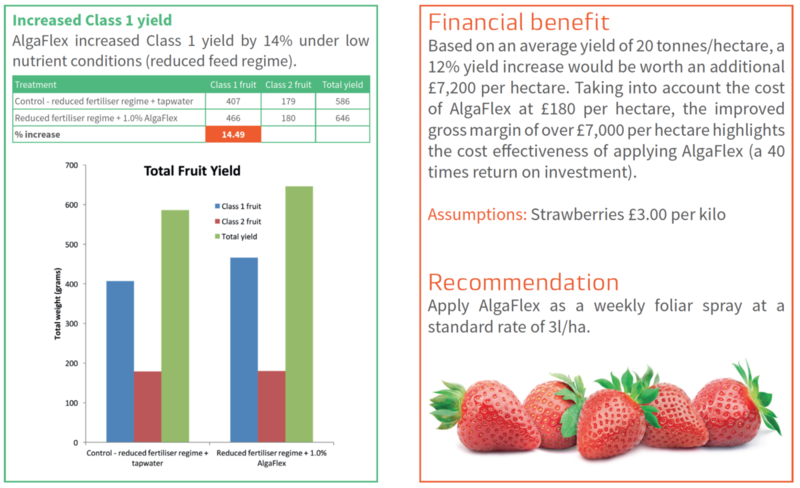 Taking into account the cost of AlgaFlex at £180 per hectare, the improved gross margin of over £7,000 per hectare highlights the cost effectiveness of applying AlgaFlex (a 40 times return on investment). 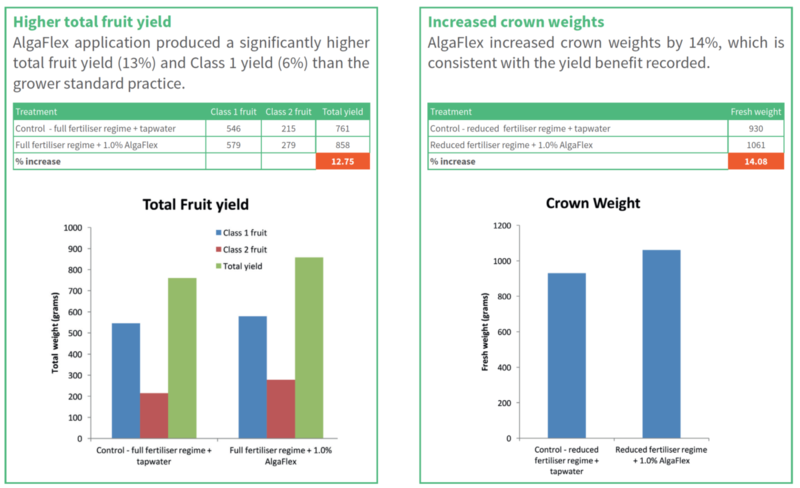 Apply AlgaFlex as a weekly foliar spray at a standard rate of 3l/ha.